Our vision is extraordinary leadership fulfilling the nonprofit and civic needs of Greater Naples. 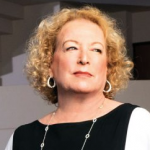 Leading Ladies – Five Dynamic Women Steering Social Change 4. Jaclynn Faffer | President and CEO, Naples Senior Center at JFCS Naples is paradise—but not for everyone. Though famous as a top place to retire, many older residents need help. “I never … Read More . 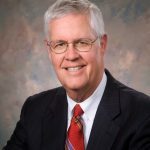 . .
Collaborations make Collier County a better place by Jean Foster, Guest columnist This column is the second of a two-part series on the Greater Naples Leadership (GNL) organization. My earlier column focused on GNL volunteerism; this article addresses collaborations. 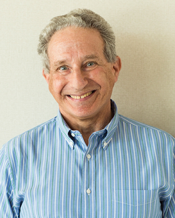 Greater Naples Leadership … Read More . 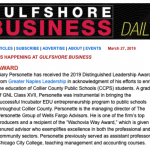 . .
A graduate of Class XVII, Gary Personette received the Distinguished Leadership Award on Thursday, March 14, at a luncheon at the Naples Sailing & Yacht Club. 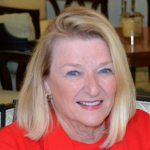 Gary’s legendary contributions to Collier County’s educational system began when he met GNL classmate Susan McManus … Read More . . .